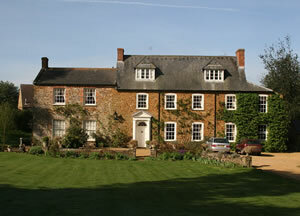 A Classic Georgian style Old Rectory set on the edge of a typical English Country village. It is very much a family house with a warm and friendly atmosphere. Comfortable and welcoming. Great Breakfasts and Suppers are available too if discussed in advance. Nestled in the rural Northamptonshire countryside, our B&B is perfect for a countryside retreat, surrounded by fields and woods: walking is in abundance. Located just 8 miles from the Silverstone racing track, we are the perfect accommodation for avid fans. There are lots of local pubs within 10 miles serving good food and Oxford is 50 minutes drive.